There are 12 of these tags. They are created on 110lb embossed and glittered cardstock. There are a variety of patterns. They are all af/lf and archival safe. 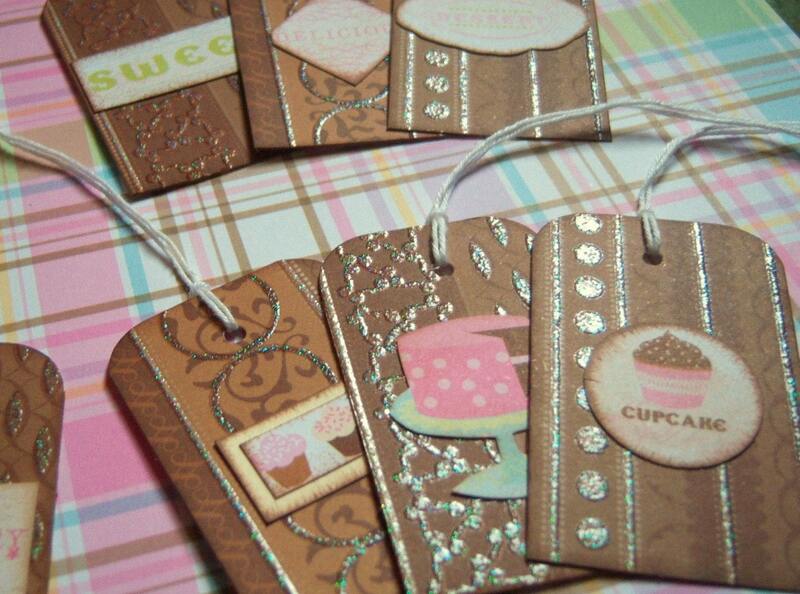 I have inked the edges of the tags and the embellishments in the center as well in the color chocolate. They are all prestrung with white twine. If you have any questions, please send me a message/convo me. If you would like to see it as a listing, you can see them in the etsy shop. There are also more photos.